As most regular readers of the St Margarets Community Website already know our little corner of Paradise, with its many delights and coffee shops, takes its name from a house that once stood on the river close to where Richmond lock and footbridge now stand. In 1830 Archibald Kennedy, the 1st Marquis of Ailsa, bought Lacy House in Twickenham Park. Despite the fact that many celebrated people like James Lacy, co-owner of the Drury Lane Theatre, the Hon. Sir Edward Walpole, Hon. Mrs Keppell - the widow of the Bishop of Exeter, the playwright Richard Brinsley Sheridan and the Earl of Warwick had all lived there Archibald Kennedy immediately pulled the house down and built a new one in its place, naming it “St Margarets” - which says a lot about planning permission 1830 style. It was an appropriate name however, what with Archibald Kennedy being Scottish - and St Margaret being the patron saint of Scotland. 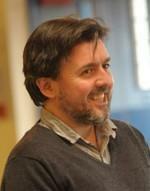 We’re delighted to announce the appointment of Paul Miller as the next Artistic Director of the Orange Tree Theatre. He is currently an Associate Director at Sheffield Crucible. He will succeed Sam Walters, who founded the Theatre in 1971, in July 2014. For Sanity’s Sake - the local activity website for kids, are organising a Christmas Party on Wednesday, 11th December 2013 for children 4 months - under 4 years with The Little Gym and The Imagination Den. 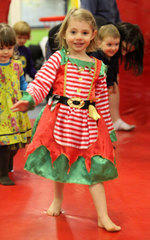 Dressing up as Santas, elves, reindeers or fairies optional. 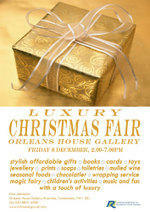 This year the Orleans House Christmas Shopping Fair has an added touch of luxury. Not only will visitors be able to choose from a stylish selection of Christmas Gifts and little luxuries, such as organic skin care, handmade chocolates, designer gifts, studio ceramics, books, toys, seasonal foods and contemporary jewellery… they’ll be able to do this in the elegant surroundings of the Coach House and Octagon Room. 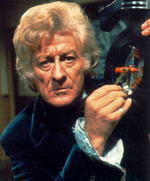 This being the 50th anniversary of the first incarnation of ‘Dr. Who’ and me not having been inside the Tardis for over 40 years I think that I can now safely reveal some secrets … although I should add that for the sake of Universal Copyright (“in this world, all known worlds and all worlds yet to be discovered”) this article was written under the terms of the Protocol of Perpetual Silence determined by the Council of Gallifrey on the Doctor’s first incarnation in ED1963. artsrichmond’s Young Writers’ Festival is open to all young people who either live or attend schools/clubs in the Borough of Richmond upon Thames. It is a chance to show off your writing skills in any form: stories, descriptive writing, poems, playlets, lyrics for songs, blogs - whatever your imagination can devise. Richmond Bridge Primary School is a proposed free school which plans to open in the St Margarets area of Richmond in September 2015. Initially opening with two Reception classes, the school will grow organically to its full capacity of 420 pupils. Victorian novels are awash with clerics of all ranks and persuasions reflecting their prominent and important role in the society of the time. 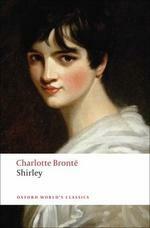 Charlotte Bronte’s second novel “Shirley”, published in 1849 has at least four of them - Mr. Helstone, the rector of Briarfield and his three curates, Mr. Donne, Mr. Malone, and Mr. Sweeting. Apparently they spent their time debating “minute points of ecclesiastical discipline, frivolities which seem as empty as bubbles to all save themselves”… which sounds like fun.